UK-based Cairn Energy announced that the Development and Exploitation Plan for the SNE field offshore Senegal has been submitted on schedule to the Government of Senegal by the Joint Venture (JV) with approval targeted later this year. Cairn also announces that JV partner Woodside Energy (Senegal) B.V. has exercised its option to become Operator of the SNE field development. Work is already well underway to facilitate transfer of operatorship which is now subject only to government consent. The Development and Exploitation plan outlines the full multi-phase development of oil and gas. The field will be developed in a series of phases with plans for ~500 million barrels of oil (mmbbls) and gross production of 100,000 barrels of oil per day (bopd) with first oil targeted in 2022. Following the establishment of oil production, commercial gas sales to Senegal are expected to commence. 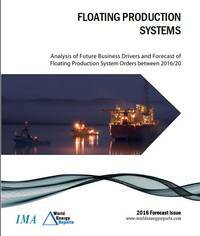 The tender responses for the FPSO facility and supporting subsea infrastructure have been received and are under evaluation and short-listing ahead of Front End Engineering Design (FEED) planned later this year. In parallel with the detailed engineering work, an Environmental and Social Impact Assessment study has been submitted to the National Technical Committee. The submission of the Exploitation Plan coincides with the opening today of the MSGBC conference for the oil and gas industry in Dakar, Senegal. The Joint Venture comprises Cairn as current Operator with a 40% Working Interest (WI) alongside partners Woodside 35% WI, FAR Ltd 15% WI and the Senegal National Oil Company, Petrosen 10% WI (Petrosen has the right to increase its equity to 18% on development).